Kirkus Reviews just posted a new interview with Ian Tregillis, author of the awesome The Milkweed Triptych (Bitter Seeds, The Coldest War, and Necessary Evil), as part of their Best Books of 2013 coverage. Most of the piece focuses on the forthcoming Something More Than Night (Canada, USA, Europe), which is described as "a brain-bending combo of angelic cosmogony, high-level physics and meta-noir." 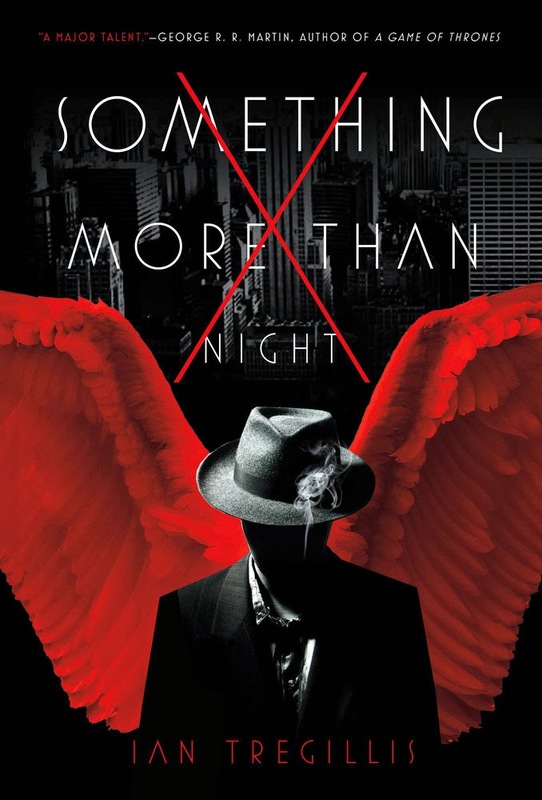 Ian Tregillis's Something More Than Night is a Dashiell Hammett and Raymond Chandler inspired murder mystery set in Thomas Aquinas’s vision of Heaven. It’s a noir detective story starring fallen angels, the heavenly choir, nightclub stigmatics, a priest with a dirty secret, a femme fatale, and the Voice of God. Somebody has murdered the angel Gabriel. Worse, the Jericho Trumpet has gone missing, putting Heaven on the brink of a truly cosmic crisis. But the twisty plot that unfolds from the murder investigation leads to something much bigger: a con job one billion years in the making. Because this is no mere murder. A small band of angels has decided to break out of heaven, but they need a human patsy to make their plan work. Much of the story is told from the point of view of Bayliss, a cynical fallen angel who has modeled himself on Philip Marlowe. The yarn he spins follows the progression of a Marlowe novel—the mysterious dame who needs his help, getting grilled by the bulls, finding a stiff, getting slipped a mickey. 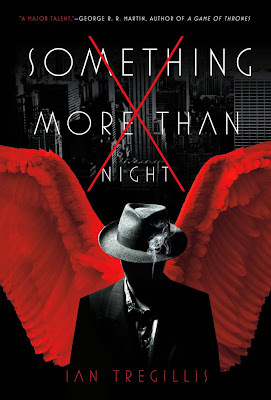 Angels and gunsels, dames with eyes like fire, and a grand maguffin, Something More Than Night is a murder mystery for the cosmos.